Please be sure roadchamps@aol.com is in your e-mail address book or our e-mails might go to your spam folder or you might not receive them at all. Thanks. 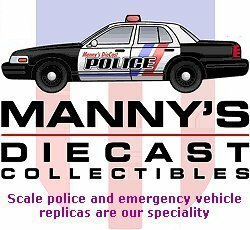 We are committed to respecting your privacy and sustaining your trust in Manny's DieCast. We will NEVER sell your phone number, e-mail address, mailing address or any other information to any other company or individual.